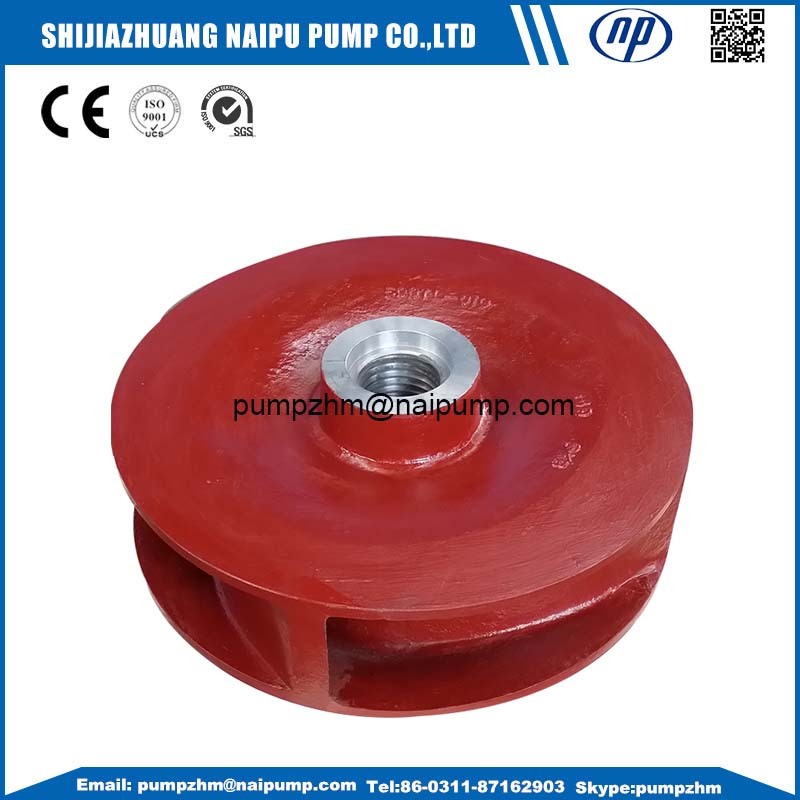 1.Slurry Pump Metal Parts including: Slurry Pump impellers,slurry pump volute,slurry pump back liners ,slurry pump throat bushing for.And there are also Slurry Pump Rubber Parts for Rubber pumps, Wet End Parts including slurry pump impellers, cover plate liner, frame plate liner,cover plate liner insert. 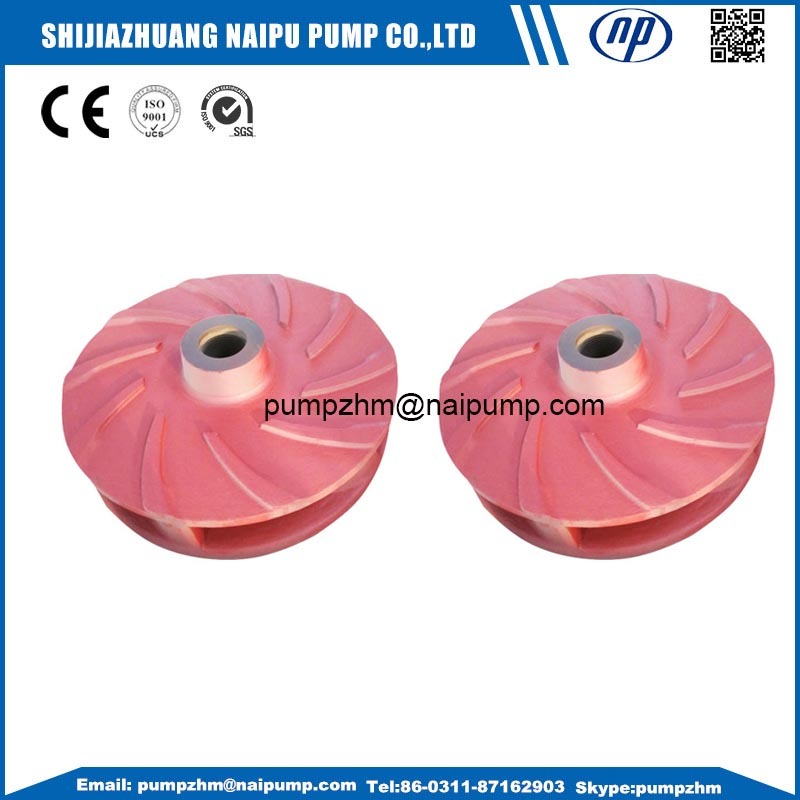 The slurry pump metal parts: Slurry Pump Impeller is one of the most important parts of Metal Slurry Pump. 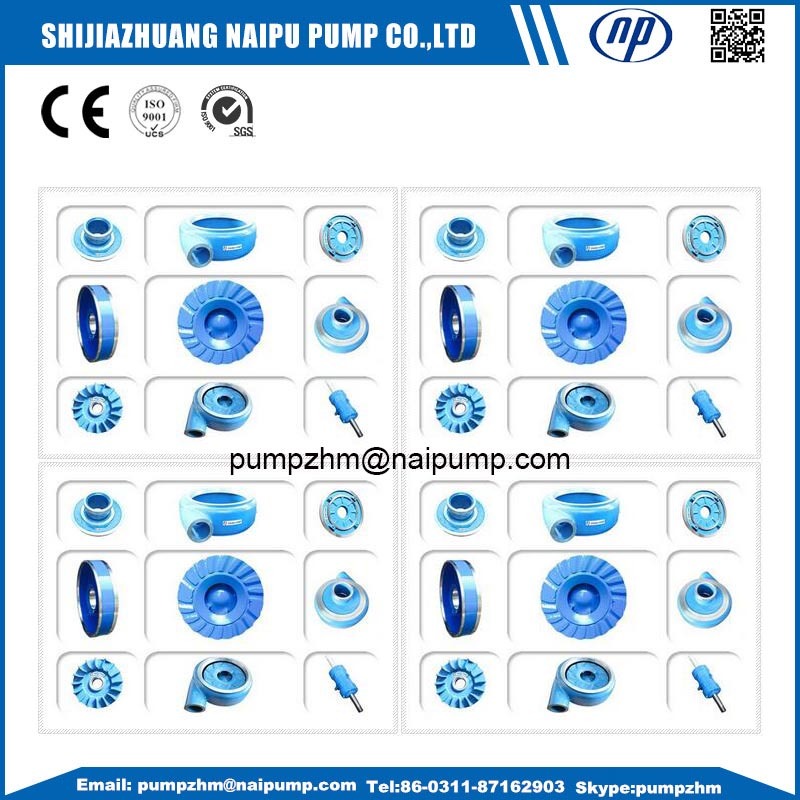 When impeller is rotating, the slurry pump could meet the requirements of the equipment. However, it is a component, which is worn out very easily. Therefore, for long service life of the impeller, the material plays an important role here. 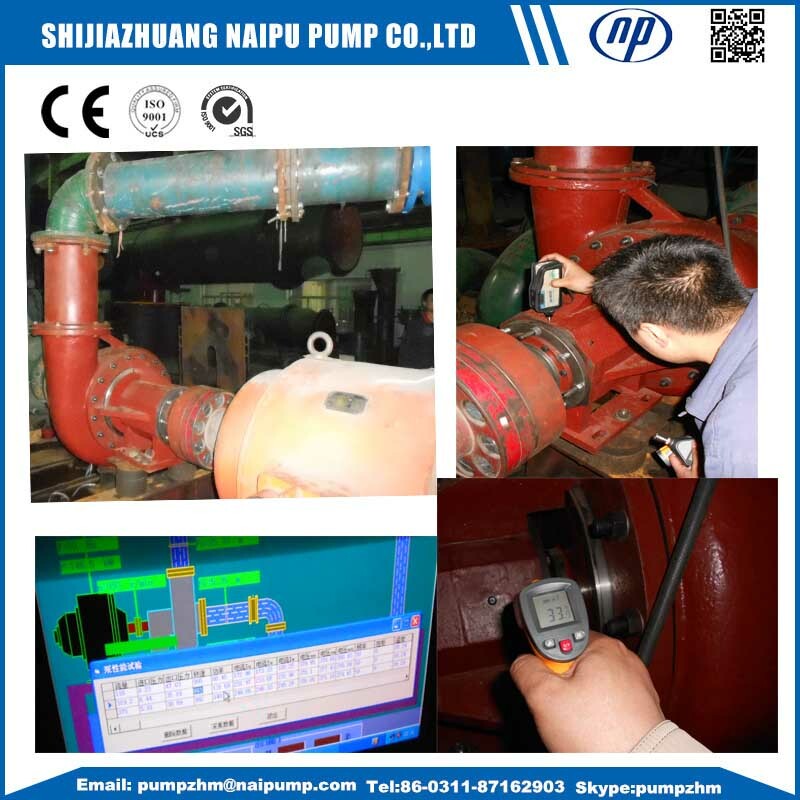 Shijiazhuang Naipu pump offers the two solutions for this problem. We choose the white iron, high chrome (27%) for the strong abrasive slurries, also with the sharp particles. For the corrsive slurries with blunt particles, we recommend the natural rubber. 1. All of the slurry pump metal wet parts can are made of high chromium alloy which has superior wear and erosion resistance or grey iron which has a high rigidity. 5. All of the slurry rubber parts have superior erosion resisting performance which can be used for a long life. Looking for ideal Ah Slurry Pump Impellers Manufacturer & supplier ? We have a wide selection at great prices to help you get creative. 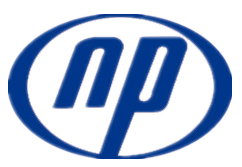 All the Slurry Pump Metal Impellers are quality guaranteed. 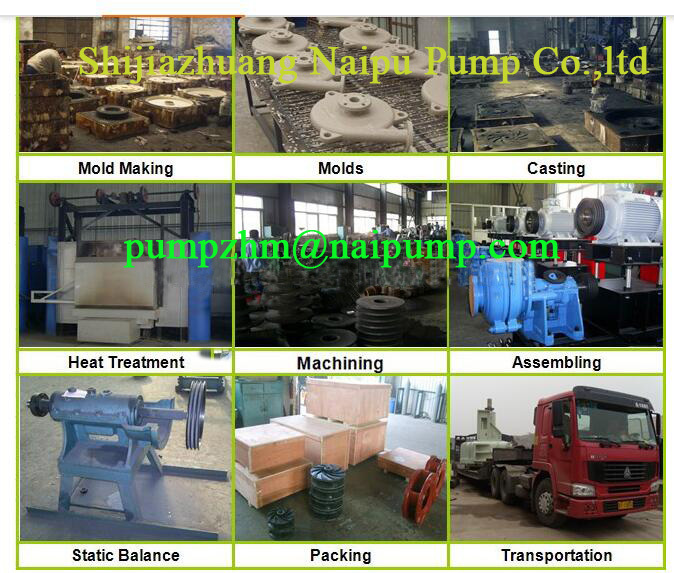 We are China Origin Factory of Slurry Pump Parts Impellers. If you have any question, please feel free to contact us.